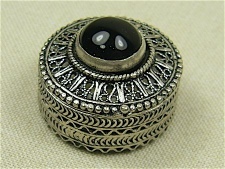 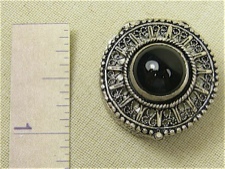 Tiny round box of sterling silver has a black onyx stone on its hinged lid. 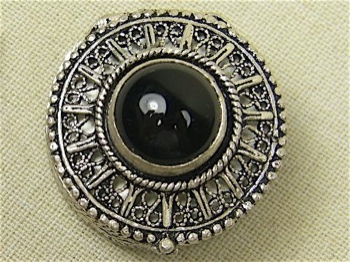 Handcrafted in ornamental filigree in Turkey. 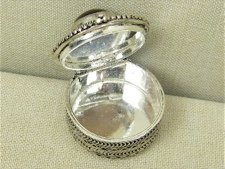 Box has 1 inch diameter and height.